Are you considering adding vegetarian or vegan days to your lifestyle? Concerned about where you will get protein? Come find out how to replace all the protein your athlete body requires with plant-based nutrition and how it can add better performance and longevity to your fitness career. This is not a conversion lecture, meat eaters welcome!! 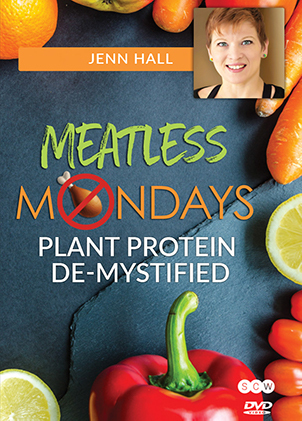 To access this post, you must purchase OnDemand Monthly Subscription Payment Plan, OnDemand Annual Subscription, OnDemand Month-to-Month Subscription, SCW Premium Membership: 1 Year, SCW Premium Membership: 2 Years, OnDemand 6-Month Subscription, OnDemand 2 Year Subscription or Meatless Mondays: De-Mystifying Plant Protein.